The Rainbow Family Festival being over, I left the meeting from the other end of the Canyon with one of the six adults from Venice Beach. It was a very hot day, with the most expansive big sky I had ever seen, true to Montana´s reputation. The sky was the bluest of the blue, with cream puff, cotton candy clouds. My friend and I were hitch hiking on a deserted back road, sweltering in the hot sun. 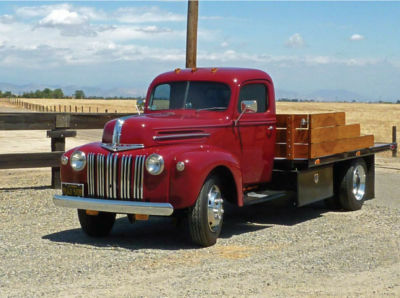 Finally, a 1946 Ford truck with a flatbed stopped to pick us up. The cab was only big enough for the driver and his friend, and there were four people sitting on the flatbed, everyone coming from the Festival. It was an idyllic drive through the countryside over the greenest gentle rolling hills as cattle and sheep grazed in the fields. We arrived at a small hamlet called Rolling Rock. 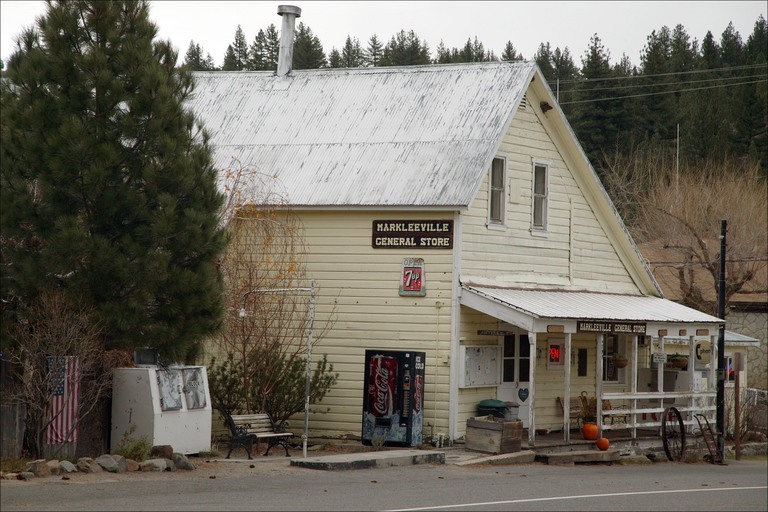 The population couldn´t have been more than 150, with a one gas pump Station and a General Store across the one road through the village. Except for the driver, who had only enough money to get home, we were broke. 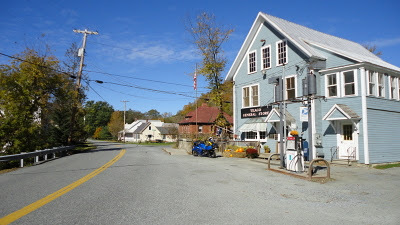 As the gas was being pumped, looking at the General Store across the road, someone said, if only we had some beer for relief from this hot sun. Entering the store, there were three elderly ladies in conversation and speaking to the lady behind the counter I said, ¨Ladies, God has made us a great day Today. My friends and I were at a Festival but unfortunately, we have only enough money for gas to get home. It is very hot, and some beer would be a relief. The ladies went through the items in my pack, almost like in a trance, as they marvelled at the things that were in there. The owner broke out of the trance and said, ¨Never mind the beads, take the beer.¨ Profuse in my blessings, everyone on the truck was happy as I returned with 1 beer each. At this point a young cowboy arrived at the truck asking if we were at the Rainbow Family Festival? He was wearing a real nicely shaped cowboy hat. Seeing the signs were good, I thought I could push the envelope a little further and said, ¨Brother. 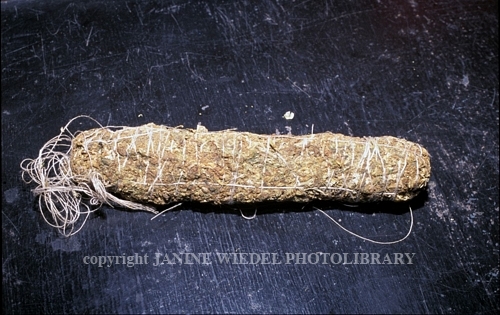 God has made us a great day Today, and it would be wonderful if we had some of God´s fine herb to make it even better. 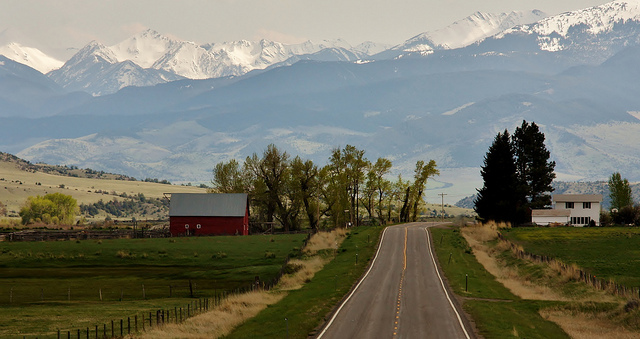 I will never forget those 15 minutes one Day of the Life in Rolling Rock, Montana on The Way to Kansas City. That sounds like a fun “trip”. Nice choice of pics too. I could not find actual pics of Rolling Rock Montana online but these were selected to convey the impression as it was that one day in the Life.